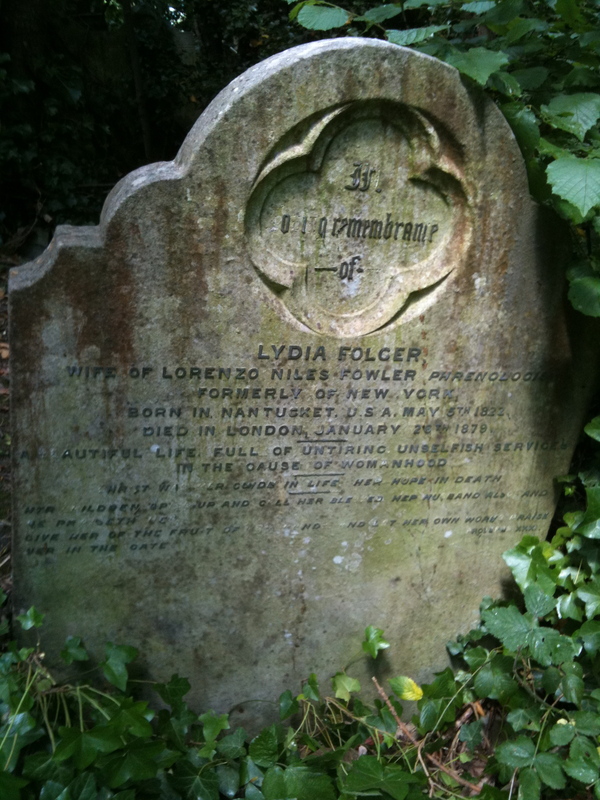 Zeph Stickney and I went to Highgate one afternoon in July 2010 to check on Fowler’s gravestone. Fowler died in London in 1879, and her remains were buried in the famous cemetery. The grave is to the left of the entrance gate, up the hill, and in a densely used spot. The marked was overgrown with ivy, which Zeph pulled away so that I could take the photograph.